Google to kick out firefox ? Of course I did it. 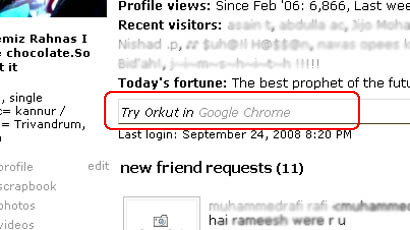 I opened Google chrome and logged in to orkut. Again Google played a trick there. 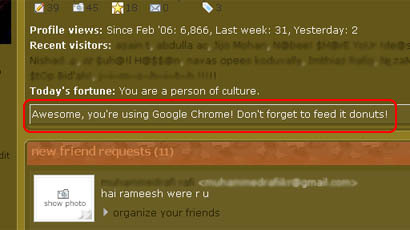 It says “Awesome, you’re using Google Chrome! Don’t forget to feed it donuts!” . How fast your site will get indexed by Google ? Next story I’ve started Twitter !